Welcome to the final blog post of 2018 from your community of Greenway Plaza apartments! With the new year approaching quickly, now is as good a time as any to make some healthy changes in your life. One such change could be to make some changes to your fitness routine. Going to the gym every day can get old after awhile, but there are plenty of other ways to get your heart rate up. That brings us to the topic of this week’s blog post; bike trails. We have a lot of cycling enthusiasts at Metropole apartments, and Houston is filled with bike trails for cyclists of all skill levels. We’ll be talking about a few of our favorite trails in the blog post below. Let’s dive right into the list of trails, shall we? When you’re done reading through the blog post below, please feel free to share the link to this page with your friends and neighbors at your community of apartments in Upper Kirby. The first cycling spot on our list doubles as one of the most beautiful natural spaces in Houston. Whether you bring your own bike or rent one from the park’s bike rental facilities, you’re guaranteed to find plenty of scenic trails in Buffalo Bayou Park. This is a great place to spend a whole day, as you can visit the the park’s food truck lot when you’re done riding your bike. One of the other cool things about Buffalo Bayou Park is that the bike trails connect to multiple other parks in the city. If you want to explore Houston on two wheels, this is the spot to start. A lot of cyclists look for well-paved paths when scouting out new new trails. If you’re looking for a smooth ride, we recommend that you head straight to the White Oak Bayou Trail. The paved portion of the trail stretches for eight miles, but there are also a few gravel offshoots that go into the more wooded parts of the park. Give this place a shot next time you feel like busting out the bike, residents! Everyone knows about Memorial Park because it takes up a ton of land in the heart of Houston. However, a lot of people don’t know about the dozens of off-road bike trails that criss-cross the heavily-wooded park. If you’ve got a bike with off-road wheels, we highly recommend that you give this place a shot. 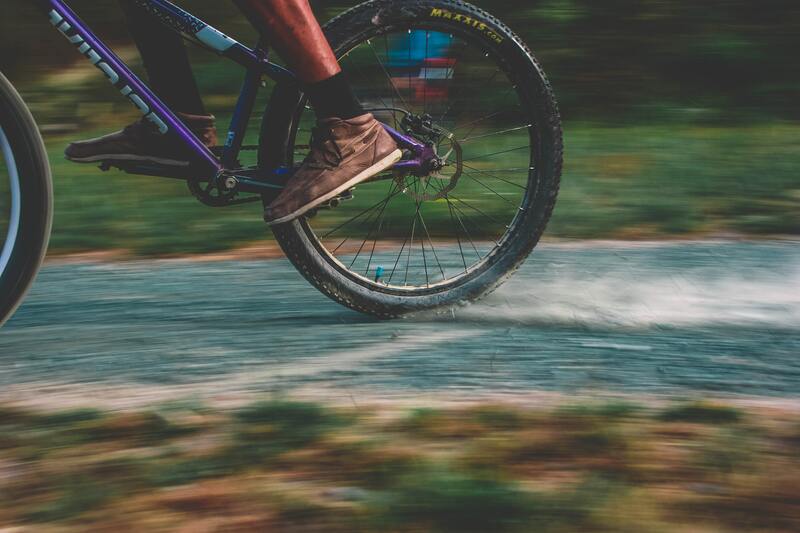 With that, we’ve hit the end of our list of bike trails that you can test out next time you feel like getting some exercise away from your apartment! As always, we greatly appreciate those of you who’ve been coming back month after month to read all the latest blogs from Metropole apartments. Be sure to check back in January when we post the next blog! While you wait for that, get out there and explore some of the awesome bike trails that Houston has to offer its residents. If you liked this week’s blog and you want to see another one like it in a couple weeks, go ahead and bookmark our blog page so you can be the first to see the next one when it goes up on the site! In the time between now and then, you can keep up with everything happening at Metropole by following our community on social media. There’s no faster, easier way to ensure you’re always in-the-know when it comes to resident events, special giveaways and promotions happening at your community of apartments in Greenway Plaza.